Cute little home in great Riversdale location. Situated on a 50×120 foot lot this would make a great infill opportunity. This house is just steps to the river, direct access to downtown and a short walk to the heart of the coffee and restaurant district. Its a great place to live if you like to walk and bike and is very very close to the farmers market. Inside it has a bright living room. A large kitchen and dining room area and a full bathroom. There is 1 bedroom on the main floor. 2 bedrooms upstairs and 1 more in the basement. 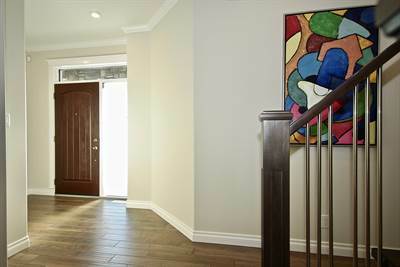 There are 2 entries into the basement making this home ideal for a future basement suite. The basement has a newer high E furnace and water heater. The basement has large windows and a large bright living room. This home is priced very competitively and there is a real opportunity here. Don’t delay on this one…Call today. 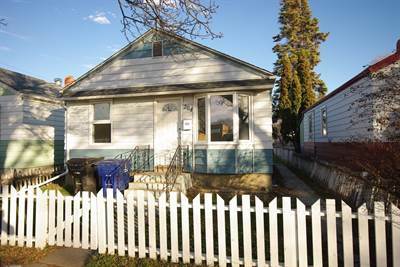 • 1061 sqft , 2 bath , 5 bdrm bungalow – FOR SALE 185000 CAD . 599 Atton Lane in Evergreen, Saskatoon is Sold! Posted on April 18, 2017 Categories UncategorizedLeave a comment on 599 Atton Lane in Evergreen, Saskatoon is Sold! 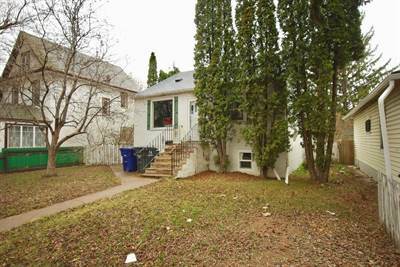 Welcome home to 204 Ave G south in Saskatoon’s most up-and-coming neighbourhood, Riversdale. Located on a dead-end street; there is virtually no traffic in front. It’s located directly across the street from a park for great views, additional privacy, and a less dense block. This home will allow the first time buyer an opportunity to get into the market and start to build equity, without condo fees. This house is brand new inside. Stripped down to the studs upstairs and the concrete downstairs. New plumbing, ductwork, insulation, vapour barrier, drywall, paint, light fixtures, kitchen cabinets and counter tops, high-efficiency toilet, bathroom sink and vanity, subfloor, flooring, and shingles, plus lots of new windows and a brand new finished basement. It also has newer appliances, a high-efficiency gas water heater, updated electrical, and an upgraded high-efficiency furnace. There's a new 4×6 deck and steps built off the back door, and the home is completely wired with CAT-6 and cable connections throughout, plus a wired alarm system. There's a 6-year-old 16×30 garage and fenced parking area off the back lane. The basement is finished, which most homes in the neighbourhood do not have. A large family/media room gives additional space for a growing family. The bedroom is huge and has a double closet. The mechanical room is finished and allows for a ton of additional storage. There is a dedicated laundry room which has additional room for crafts or office space. 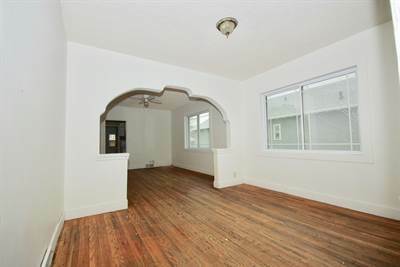 As mentioned, this home is virtually new inside and out, top to bottom. That cannot be said about very many homes in this area and especially this price point. You owe it to yourself to at least drive by. Better yet give me a call and come see for yourself why living in this up and coming neighbourhood might just be the best decision you could make. Don't delay… Call today.